Legends have it that deep within the depths of Seven Points, TX lies a creature so vile, so dank that no living person had the guts to resurrect it. Thankfully, Cedar Creek Brewery had said guts to bring forth to the public this creature by the name of Dankosaurus IPA. This East Texas nod to West Coast IPAs is full of bold pine, citrus, peach and tangerine hop flavors balanced by a velvety malt backbone of US 2-Row and German Munich. It has been dry-hopped with 15 lbs per batch of a blend of experimental hop 05256, Apollo, and Bravo to impart a fruity, dank aroma. This beer pours a beautifully deep orange color with a thick white head. Things get really interesting in the aroma department with huge dank aromas reminiscent of some of the great West Coast style IPAs. However, the addition of intense tropical aromas like pineapple, tangerine and grapefruit really sets this one apart. Dankosaurus finishes with a slightly fruity, bitter and dry flavor that keeps you coming back for more. 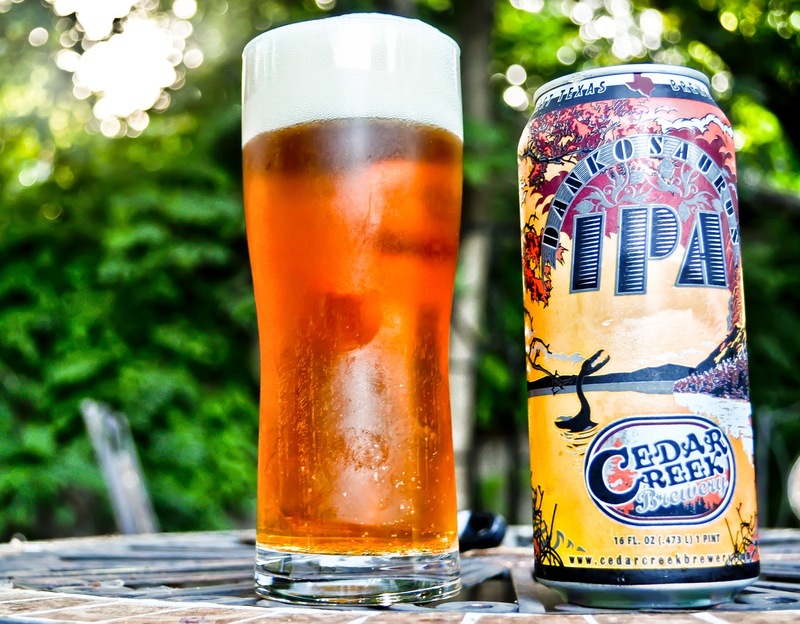 You can find Cedar Creek beer at most retail stores in Dallas. They come in four packs of 16oz tallboy cans. Cheers!